It was an interesting summer in the Okanagan. First we had floods, then fires, then smoke. Like many locations around the province, people had to change summer vacation plans to deal with road closures, wildfires, evacuations and incoming evacuees. However, as I write this column, the sun is shining brightly, the sky is blue and there are white fluffy clouds in the sky. Fingers crossed that the difficulties of the summer are now behind us and we can get back to enjoying travel in our beautiful province. While all of that was going on, the craft beer scene in the South Okanagan continued to heat up. 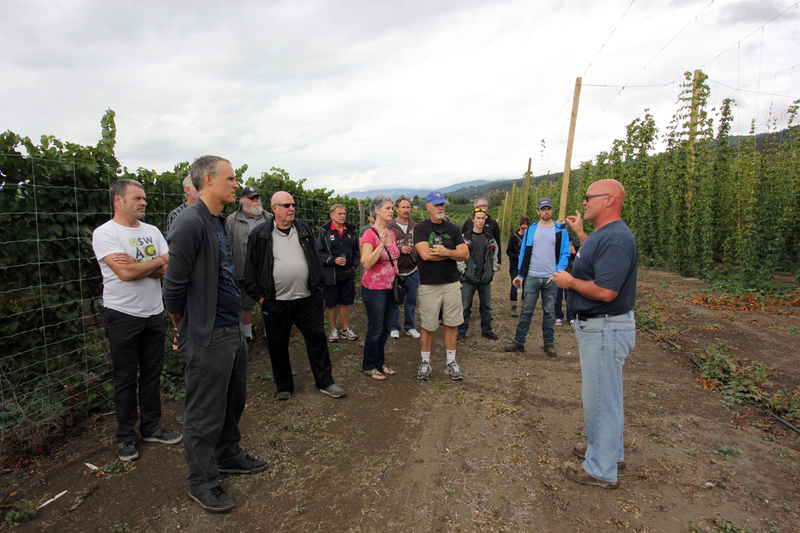 We were stoked to launch the Penticton Ale Trail this summer and we saw many tourists visiting all five Penticton breweries, plus neighbouring breweries in Oliver, Summerland, West Kelowna, Kelowna and Vernon. 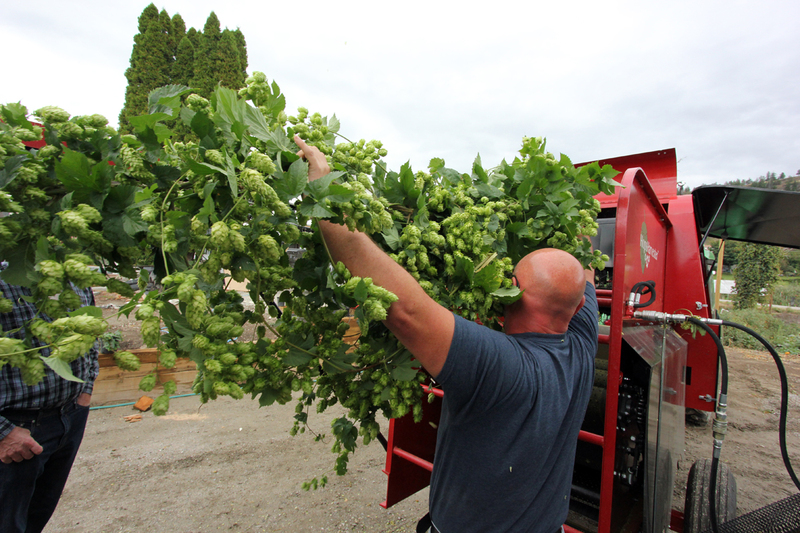 The Kelowna Ale Trail also launched this summer. The good news about enjoying craft beer is that it is a year round activity. If your summer holiday plans to the Okanagan got cancelled, this may be the year to start a new tradition to visit during the fall. 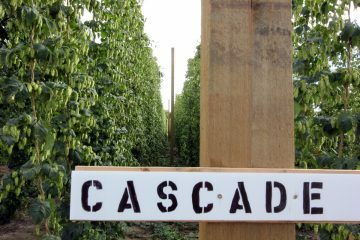 Our craft beer scene in the Okanagan is vibrant and exciting all year long. 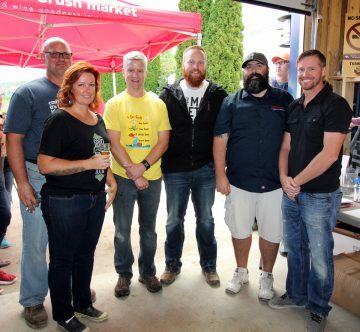 CAMRA SO (Campaign for Real Ale South Okanagan) is hosting their second annual Home Brewers Competition on September 16th following a very successful inaugural event last fall. Home brewers from around the Okanagan are currently creating their best beers to showcase at the event. Attendees will have the opportunity to meet the home brewers, try the beers, and vote for their favourites. The top 3 brewers will get bragging rights and prizes. 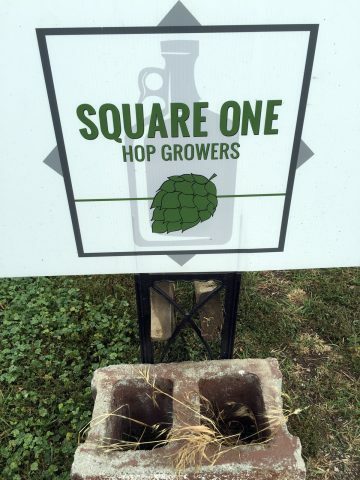 The event will be held at Square One Hop Growers, where there will also be a chance to tour the hopyard, see a harvester demo and pick some hops. For more info, visit the Facebook event. The popular Okanagan Fall Wine Festival runs September 28th to October 8th. 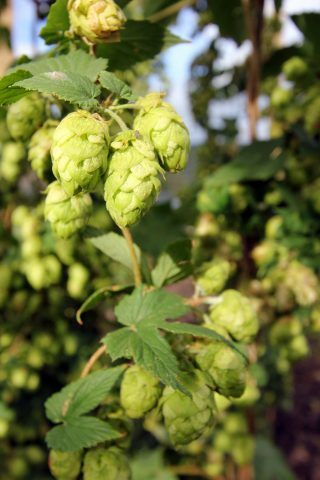 As craft beer explodes in the Okanagan, we’re seeing wine events include craft beer. One such event is the Oliver Cask & Keg Festival, which will be held on September 30th. This celebration of breweries, cideries and distilleries kicks off the 21st annual Festival of the Grape weekend. October 21st marks the date of the 8th annual Penticton Oktoberfest. Put on your lederhosen or your dirndl and bring your dancing shoes. Enjoy local Cannery Brewing beers and German beers, mouth-watering German food, and entertainment including The Alpen Plattlers. Early bird tickets are on sale now and check their website for great accommodation and ticket packages. Plan to head to Penticton for the 4th annual Dia de Los Muertos Cerveza Fuerte launch party on November 1st at Bad Tattoo Brewing. At the event, they will also launch the 3rd vintage of La Resurreccion, last year’s Cerveza Fuerte that has been aging in brandy barrels. Keep an eye on their Facebook page for details on ticket availability. If you can’t visit in person, enjoy a taste of the South Okanagan wherever you are, with some great fall seasonals from our breweries. 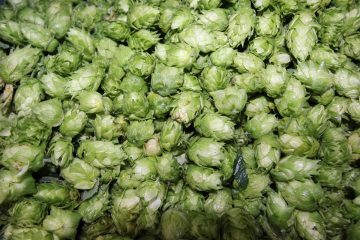 Oliver’s Firehall Brewery will be releasing a currently unnamed seasonal low-hop Amber-style beer brewed with Alaric Family cherries, grown and harvested in Oliver. 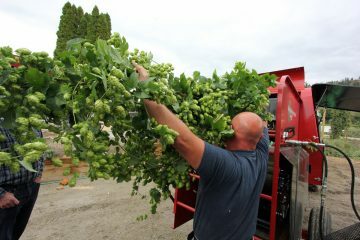 They’ll also be harvesting local wild hops again for a fresh-hopped Harvest Ale, their Annual Memorial “Wind & Fire” which will be released in October. 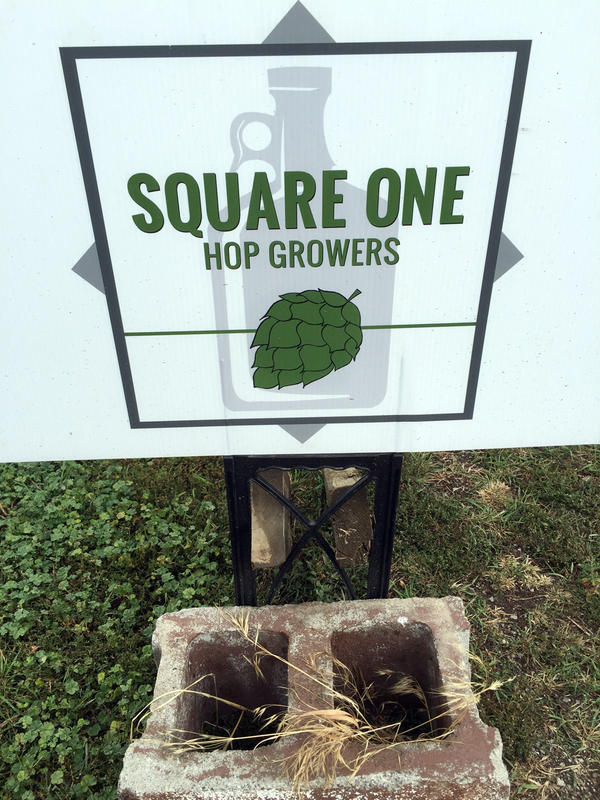 In September, watch for a new beer from the assistant brewer team at Bad Tattoo Brewing. Conceived by their “Brew Boyz”, this New England American Pale Ale is made with Azacca hops and is called “Azacca What You Want”. This is the first of their “Blank Canvas, Small Lot – Short Run” series. This limited release series will feature a “Blank Canvas” label with just the beer name on it. Customers are invited to draw inspiration from the beer and draw their own label, then post a photo on social media with the hashtag #badtattoolabel for a chance to win. We owe a debt of gratitude and appreciation to the firefighters and emergency service workers who have worked tirelessly to manage and extinguish all of the BC wildfires this summer. As a tribute to those fighting the fires, Cannery Brewing’s limited release Wildfire IPA will be back in September. This is a great beer for a great cause. A portion of the proceeds from the sale of this beer supports the great work of the Canadian Fallen Firefighters Foundation.